Andrew is available to run a range of practical, hands-on or demonstration-style workshops at your school or conference. 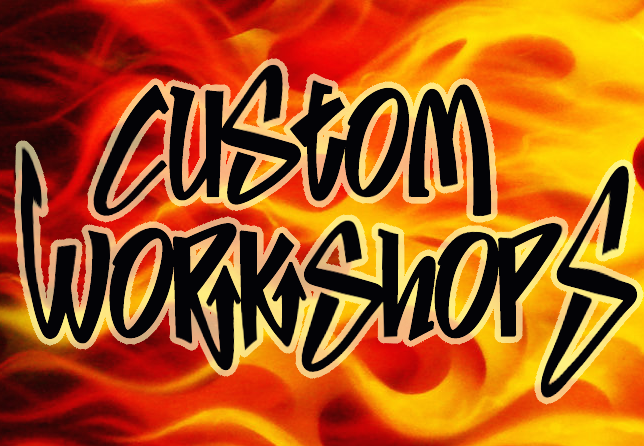 Some of the most popular workshops are described below, but requests for build-to-order workshops are also welcome. In bygone days, students had to be in a classroom to learn. That is where the teacher was, that is where the books were. The only time a teacher had to explain concepts to his students was when all together in the classroom. Accordingly, certain types of learning activity were conducted in the classroom, and other types were set as homework. But the constraints on which the current model were based are no longer real. Any student with a computer or smartphone now has access to the same pool of information as her teacher. Likewise, teachers and students can now communicate about the learning, using simple, free tools at any time whether in the classroom or out. This profound change in when and where we access information and communicate, gives us the exciting opportunity to decide afresh which learning activities will be most beneficial if assigned for "homework" and which are most beneficial in class time. In this workshop, Andrew will explain the "flipped classroom" model. In this model, students listen to their teacher's explanations and participate in online discussions at any time of day or night (instead of completing "homework"). 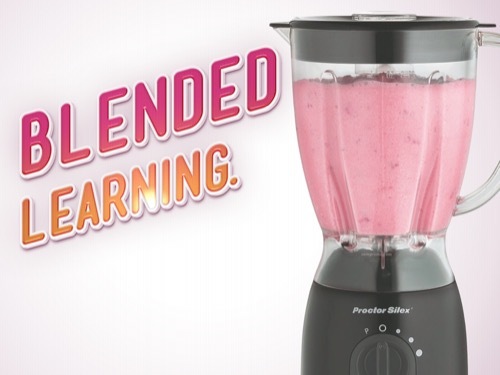 This frees up more class time for learning activities infused with human interaction. The result is a class of students that is more connected; more collaborative; more human. One focus of this workshop will be on simple, effective tools for communicating via podcasts, screencasts, vodcasts, and social media. But a second, equally important focus will be on the effective use of the class time that is made available. This workshop will explore easy-to-use technologies and gadgets that Andrew has found to be simple, engaging, powerful and inexpensive. These tools provide two great advantages: (1) they let teachers teach in new ways and/or at times that would be otherwise impractical and (2) they increase the human element of teaching by automating repetitive (but necessary) instruction thereby affording a teacher more class time for those right-brain-directed interactions that cannot be automated but require human interaction. 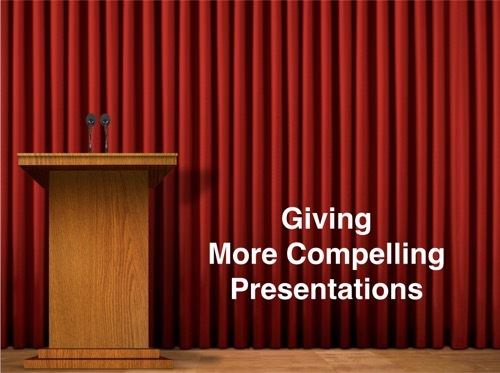 This presentation can be tailored to any length. The more time available, the more tools that we can cover. In any presentation about Web 2.0 tools, Andrew will show teachers some tools that are very easy to use, free, and inherently engaging to students. Teachers will feel empowered to walk into class the very next day and start using their new repertoire of engaging and powerful tools. The iPad is not just a great content consumption device but a powerful content creation device in the hands of a student. The combination of a high quality camera, video camera, microphone together with an internet connection and thousands of apps makes it, in many ways the device of choice for teachers who want their students to learn and express themselves creatively. Whether you are implementing an iPad program in your school, or allowing students to bring their own devices to use in the classroom, the iPad is quickly becoming a common classroom learning tool. It's one thing to have a iPads in the classroom. It's another to use them effectively for teaching and learning. 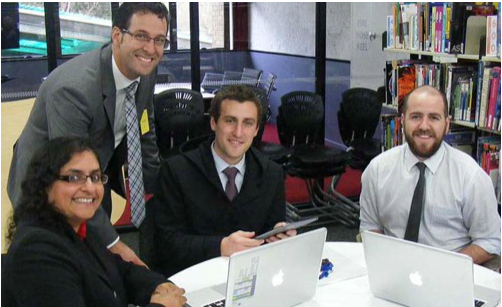 This workshop will explore various ways of using the iPad in ways that enhance the learning experience for students. While a thorough coverage will be given of some of the best educational apps available, a second important focus will be placed on transformative teaching and learning practices that complement the introduction of iPads in the classroom. Sharing documents and other files between class members. Suggestions for managing student behaviour, related to the use of iPads. Some of the most effective apps to use for teaching and learning. There is no doubt that formative assessment is one of the most effective things teachers can do to impact the learning of students. Many teachers, however, struggle to find the time that they think it would require to accurately measure and assess each student's prior knowledge, before undertaking a unit of study, let alone continue to measure their understanding throughout the topic! As a result most teachers do little formative assessment at all. 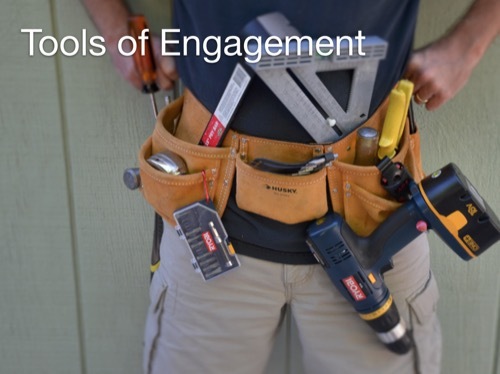 There are now, however, a raft of emerging tools that help teachers to "measure before they build, and then to check regularly while they build". 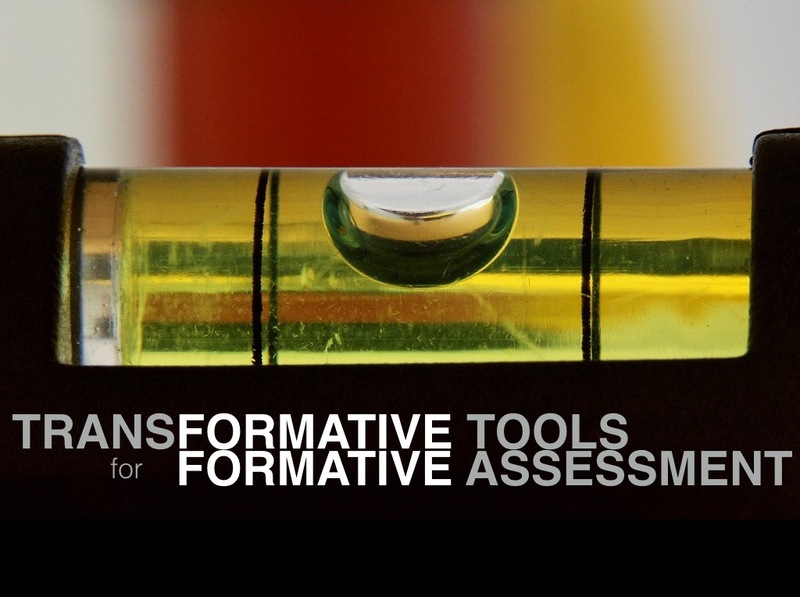 These tools are capable of providing teachers with insight into their students' learning beyond what they thought possible, enabling high quality feedback and strategic planning to counter weaknesses before it is too late. What's more, most of these emerging tools are free, easy to use, save time for teachers (believe it or not!) and engaging - even fun - for students! The highly visual and directly interactive nature of the iPad opens a door to new and exciting ways of teaching science. 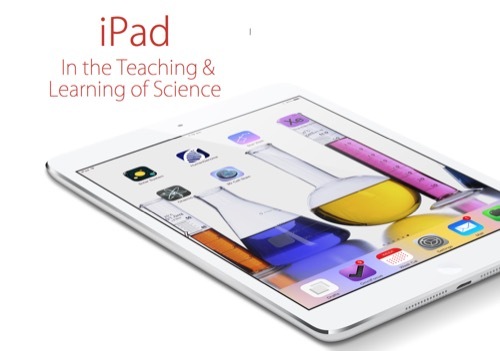 In this seminar, Andrew Douch, a secondary school science teacher with 22 years' classroom experience leads a discovery of the many ways iPads can be used to enhance teaching and learning in the science classroom. From astronomy to chemistry to biology and physics, there are some beautifully designed iPad apps that allow visualisation of science concepts and content, and the development of science skills that just a few years ago were difficult to present in meaningful and interesting ways. Many of the best free/cheap iPad science apps still have no equivalent available on a laptop computer. 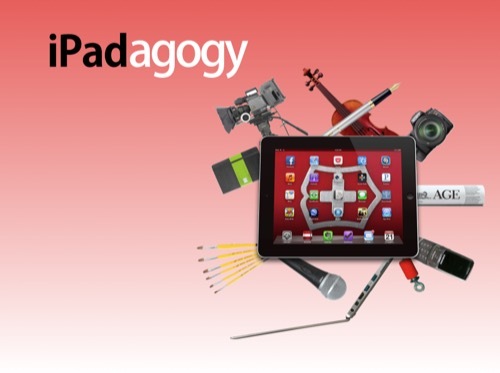 As well as discovering and sharing great iPad science apps, participants will also learn how students can use their iPads to creatively produce and publish their own content. In addition, Andrew will demonstrate a range of tips and tricks for putting the iPad to productive use in the science classroom. Participants will leave this workshop with new apps to explore with their science classes, and new insights into ways their students can use iPads to record their learning and publish it to an authentic audience. Some teachers who have made educational audio podcasts have been overwhelmed by a glowing student response. 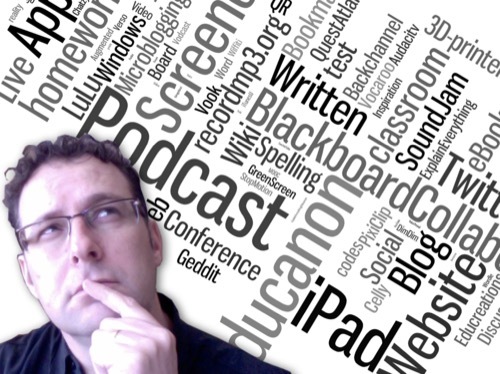 Others have made podcasts that have failed to capture their students' interests. What is the difference? In the classroom, a teacher can command her students' attention using eye contact, body language, gestures, facial expressions, physical position in the room, as well as visual stimuli and props. In an audio podcast she has none of these. Nevertheless a podcast does provide the opportunity to enchant and engage using devices not available to the classroom teacher. This workshop will explore those devices and strategies. This workshop is hosted by Andrew Douch, one of the world's leading educational podcasters with an audience of around 9000 students. The emphasis of the session is not on the technical aspects of making a podcast (although these will be covered briefly) but on the strategies that make listening to a podcast engaging - even addictive for students. A selection of samples from various teachers in various subject areas will be played as examples. Whether your class is large and you are looking for ways to increase individual student participation, or whether small numbers threaten the continued running of your class, the ‘Virtual classroom’ concept has much to offer. Designed to allow classes to meet when class members can’t be physically together, Elluminate is also an excellent tool to use with a “regular” class both in and out of the classroom. Andrew has used Elluminate extensively both in and out of the classroom with his regular class, and has also been teaching an ‘online class’ of students from small schools that could not justify running a class for so few students. Virtual classrooms are so effective that in the future they are sure to become a common way to run a class. Jump ahead of the curve and come to this presentation to be challenged about how you can use this simple, but powerful tool to great advantage in your own teaching situation. Whether in class, at conferences or in staff meetings, all teachers need to know how they can hold an audience captive. Most PowerPoint presentations are boring. As more and more teachers use PowerPoint in the classroom, they will only get more boring. Research has shown that the Slides that most presenters use actually detract from the power of the message rather than adding to it! In this session Andrew will demonstrate what makes a good PowerPoint slideshow engaging and interesting, even captivating, and what makes a bad PowerPoint slideshow boring. Having learned some principles of good PowerPoint design, participants will learn skills including how to make a non-linear PowerPoint show and how to use a PowerPoint slideshow to motivate and inspire your students. Now that much of our work as teachers is done using computers, efficiency requires a new set of tools and skills. This workshop is designed to equip teachers with strategies and software that will improve their workflow efficiency. 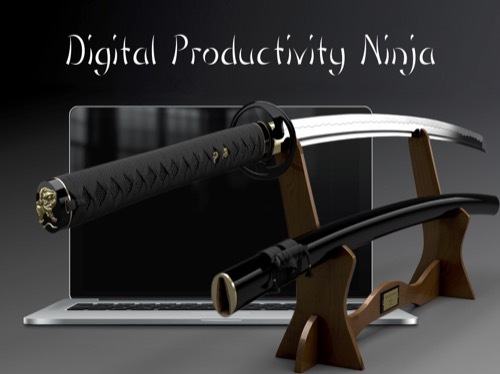 It will incorporate Tim Ferriss' strategies for distraction minimisation, David Allen's GTD (Getting Things Done) approach to task management and modern tools for implementing GTD using software on computers and mobile devices. It also includes training in a range of tools for keeping notes organised, tools for sharing information, tools for crowd-sourcing solutions and tools for automating and simplifying repetitive tasks that tend to rob us of time for higher order creative thinking. This workshop will demonstrate a smorgasbord of web 2.0 tools (that is, tools that are operated through a website rather than being downloaded to your computer). Each tool has been selected because it is (a) easy to use, (b) allows you to do something novel and (c) are engaging and fun for students. Most workshops I run are 'built-to-order' or custom-tailored to meet the perceived needs of the school or group to which I am presenting. If you don't see what you are looking for in the list above, please feel free to ask and/or suggest another topic or skill.